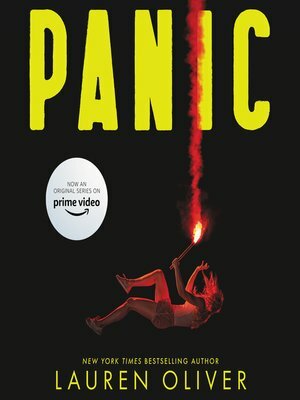 Summary: Panic began as so many things do in Carp, a poor town of twelve thousand people in the middle of nowhere: because it was summer, and there was nothing else to do. I was very intrigued by this book, it sounded exactly the type of book I would like and I was not disappointed. The book sets the scene very well, it introduces the characters and develops them perfectly which made it a lot easier to understand motives and what was happening. The characters actual storylines were a little slow compared to the action of the panic tasks but that is to be expected when such tasks were undertaken and written about in such detail. Despite this, you still felt emotionally invested in the characters. Especially Heather and Dodge as the book switches between their view points. The tasks were very interesting and you got the sense of urgency and danger from them which is difficult to do when just reading a book. So much thought has gone into designing the tasks and the detail that has gone into describing them can actually imagine yourself in that situation and how you would react. There was one or two things that bugged me about the book but that was because it did not resolve much of the story for the characters which would be fine if there was a sequel but I do not actually know if there is going to be one so as of this point I see them as issues. They leave the side characters storylines in the background unresolved such as Nat’s issues or what happened to Ray! It is not big issues but I still would like to know what happened with the other characters who were given storylines that were not continued or explained in the end. Overall I really enjoyed this book. I would recommend it to anyone who is interested in thriller sort of books or even if you’re not it might change your mind if you give it a chance.